On Wednesday night my wife and I had the privilege to join a dinner in honor of Chokyi Nyima Rinpoche. A Tibetan monk, who was in Hong Kong to lead a Buddhist retreat. Even though he is "top of the line" in his area, there is no arrogance whatsoever. He is very approachable which he shows by having an open door policy on Saturdays. Meaning that anyone can walk in to listen to the teachings on Saturdays (well when he is in the monastery). Anyway, the dinner was held at a nice small restaurant in Hong Kong with a limited number of guests, that included his entourage. The entourage were so of his Lama's and a few people that acted as translators from Tibetan to English. Having traveled to Tibet and some other areas around there, I was surprised to hear that the majority of the people were not vegetarian. They at beef, fish and of course vegetables. Now, it could be that the people in Tibet I travelled with were following the Bon traditions. 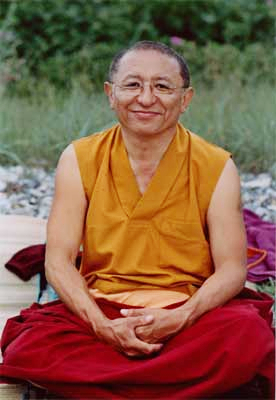 One of the interesting points of Chokyi Nyima Rinpoche is that he does show a genuine interest in the people around him. Attempting to understand who they are, where they come from, what they do. And I have heard from a few people that often he does remember. Meaning that if you get to meet him another time he would recall the occasion and who you are. Another characteristic is that he loves his humor and laughter. We did have lots of fun on the table, and fortunately were lacking any pretentious talks or one way lectures. Being in Hong Kong, taking pictures was obviously a must do thing. Whilst doing that he used the opportunity to joke around a bit as well. It was not all fun and games, and a number of well..deeper topics were discussed as well. During the conversations the Rinpoche showed to be well informed on current global affairs. And rather than lecturing on how to fix it, he offered some thoughts for people on how they can think about what to contribute to get it fixed. Oh, and he even the topic of Lady Gaga was discussed as she is having her concerts in Hong Kong at the moment. Altogether a very interesting and even inspiring evening, especially when putting it in context of busy Hong Kong.